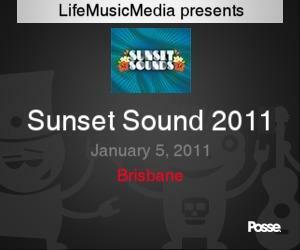 SUNSET SOUNDS 2011 – VIP Festival Pack Giveaway! – Charlie Mayfair’s set, side of stage! For extra good Karma, become a fan on Facebook and/or follow us on Twitter. Sunset Sounds Foster Band Initiative is set to shine a light on local bands! Sunset Sounds Foster Band Initiative. That’s right, this fantastic initiative will not only shine a light on local artists, it also gives them the chance to secure a paid spot on the Sunset Sounds line up, along-side Interpol, Public Enemy, Joan Jett & the Blackhearts, Klaxons, The National and heaps more! There are two spots up for grabs with 10 bands eagerly vying to be one of the chosen. LIFE MUSIC MEDIA is proudly fostering Brisbane band Charlie Mayfair and thoughout November we’ll be bringing you some very tasty morsels of Charlie Mayfair goodness! 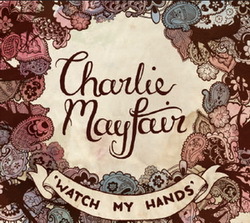 – Charlie Mayfair In January 2010, a band was born: with fire in their bellies and rapture in their hearts, they took to stages sharing stories woven into songs. 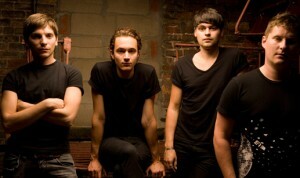 This band is Charlie Mayfair. The early months of the year saw the band racing around their hometown writing songs, making friends, and letting people experience their unique style of folk-fired pop. They hollered their gigs from the rooftops and Brisbane heeded their call. And so their three-part-harmonised hollering led them to play at many lovely venues like The Powerhouse, The Troubadour, The Zoo, The Sound Lounge, World Bar and The Old Museum sharing the stage with the talented likes of Old Man River, Dan Parsons, Skipping Girl Vinegar, The Bedroom Philosopher, The Boat People, Loren, TheCoronas (IRE) and Iceland’s Svavar Knutur, amongst others. Wasting no time jumping into the studio, a short six months from inception, their debut release Watch My Hands “is a five-track harmony wonderland” (Scene Magazine) imbued with a bohemian flair while striding effortlessly between elements of folk and pop. 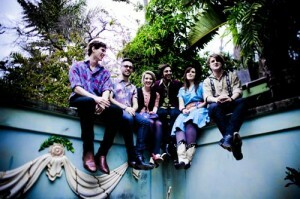 Launched at The Zoo in Brisbane to an impressive capacity crowd, the release has since received enthusiastic nods from across the nation with a feature on triple j Unearthed, spot plays on the station, and a growing collection of glowing commentary on the bands’ live shows and debut recording. Having made a quick trek to Sydney to launch the release to a welcoming reception at the Finders Keepers markets and MUM, the remaining months of 2010 will see the group once again hit the road for their first east coast tour which follows the release of their debut video clip for ‘If I Fell Down’. 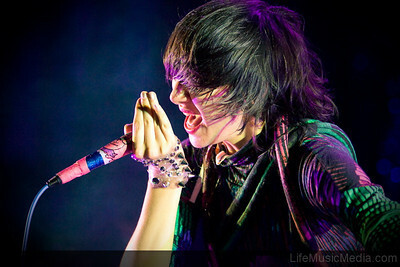 The shows will feature new songs and showcase the newly expanded bands’ impassioned live show. Sunset Sounds Foster Band Initiative is set to shine a light on locals bands! 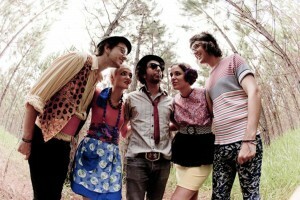 LIFE MUSIC MEDIA has selected CHARLIE MAYFAIR as its Sunset Sounds foster band. 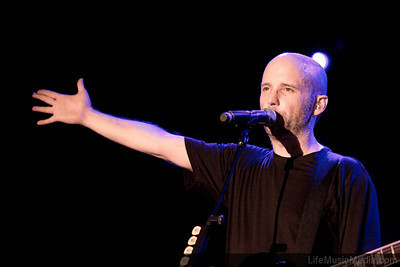 Come on Brisbane… Australia… the World! Let’s secure them a spot at Sunset Sounds 2011 Festival.